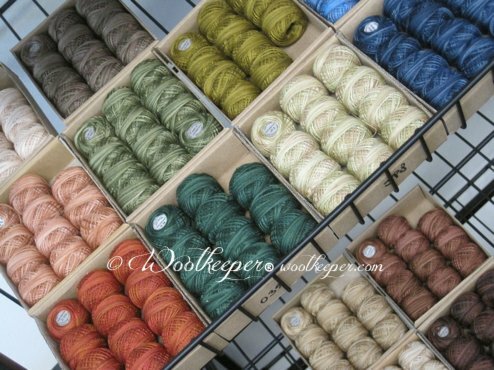 Woolkeeper has a fantastic selection of gorgeous threads! Bobbins of Genziana 12 wt-50% Wool/50% Acrylic blend thread in a bobbin round. 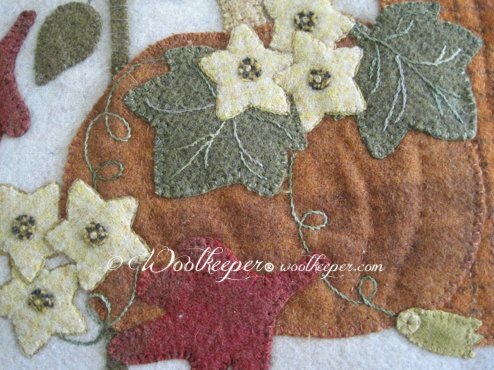 This thread creates an almost invisible whip stitch on wool applique pieces. 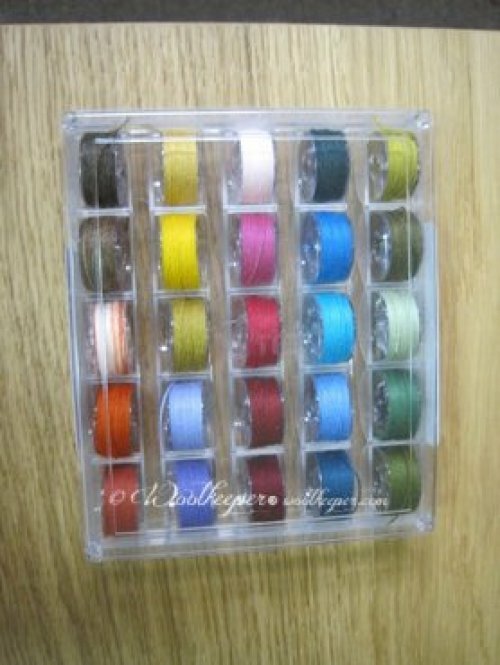 Bobbins of Aurifil Lana wool thread in vivid colors and neutrals. Both selections are available in boxes. Perfect thread for an almost invisible whip stitch or for using in the machine. 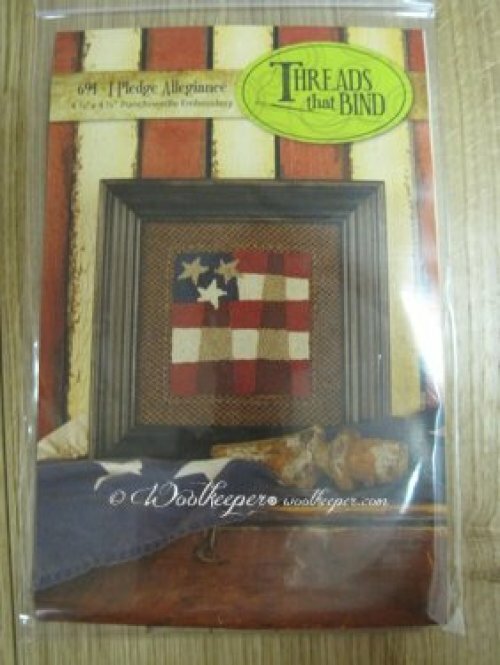 New to the shop-Valdani 3 strand floss for Punch Needle. 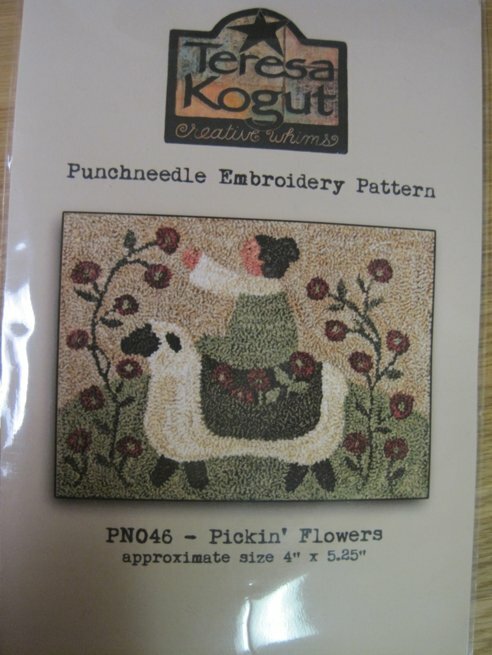 More punch needle patterns by Threads That Bind, With thy Needle & Thread and Teresa Kogut are arriving daily. 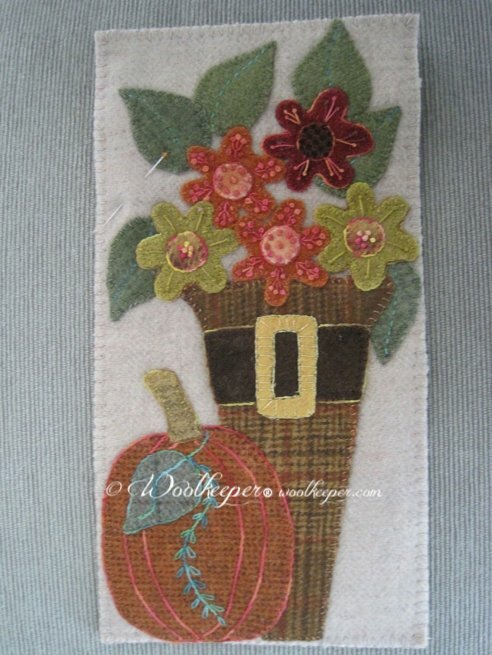 This 6” x 12” all wool applique banner features beautiful hand dyed and mill dyed wool. Decorative stitching enhances the flowers in the Pilgrim’s hat. Want to try out a new thread? Have fun stitching the embellishment stitches with the new Sue Spargo Eleganza threads. 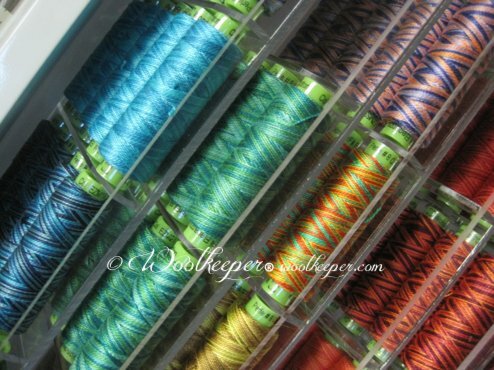 Threads are available at Woolkeeper. This is a perfect first class for a beginner or for an experienced stitcher who wants to complete a project during class time. This all wool mat stitches up fast and easy. 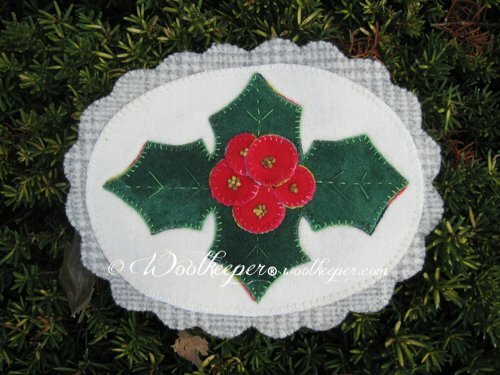 Hand dyed and mill dyed textured wools combine to make this festive mat. Project can be stitched all in Valdani #12 Pearl Cotton with the option of using some of Sue Spargo’s Eleganza thread for embellishment stitching.I will have the pieces traced on fusible and cut out for you. All you have to do is fuse and stitch. 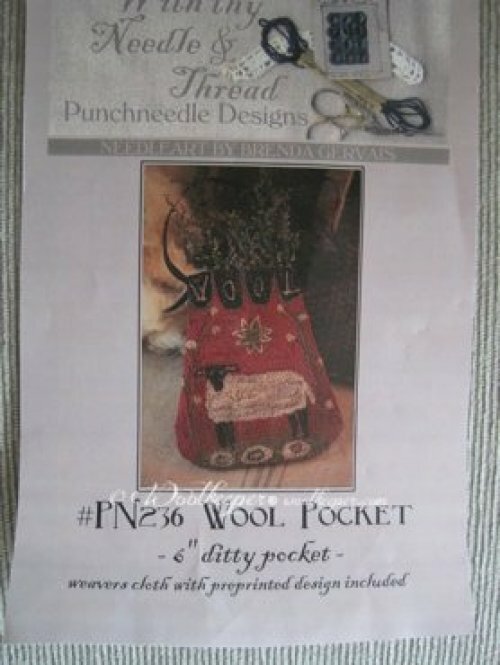 Kit and Pattern, $23.00-required for Class. Class Fee $5.00-pre-payment of class fee required to reserve spot in the class. This class will be offered on two different days from 10:00 a.m.to 3:00 p.m.
Fri., Oct. 2nd, 2015 from 10:00 a.m. to 2:00p.m. 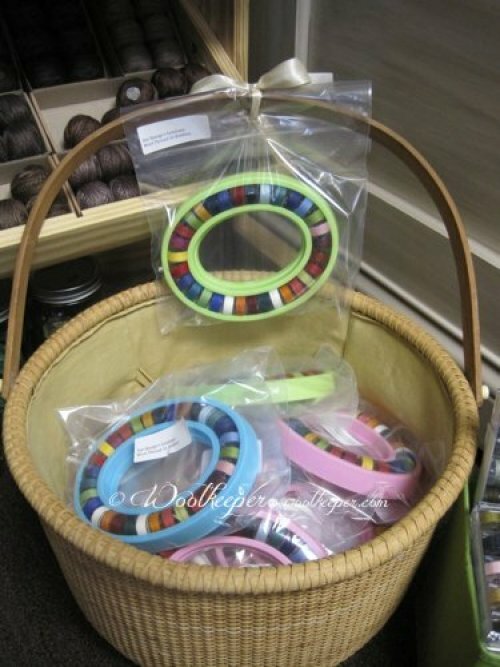 This gathering is for working on any Woolkeeper® kit/pattern that isn’t finished. Bring in your project and we can get it done. Sunday Oct. 11th, from Noon to 4 p.m.
Open sew for Handwork of any kind EVERY TUESDAY from 4.p.m. to 8:p.m.
Hope you are enjoying this gorgeous fall weather with your family and friends! 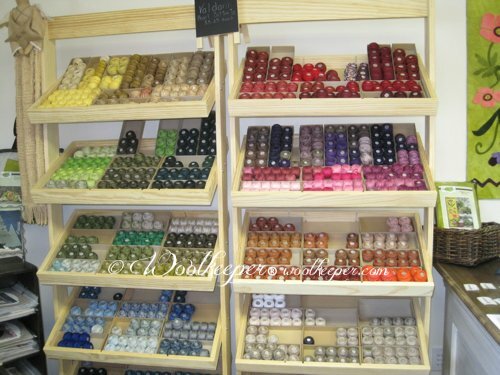 Looking forward to you visiting Woolkeeper.